ALBANY, N.Y. (AP) — It was “mission critical” for New York City to land one of Amazon’s second headquarters and the tens of thousands of jobs the company promises to create, Mayor Bill de Blasio said Monday, just days after a report said the company was having second thoughts because of opposition from some influential local politicians. De Blasio, a Democrat, told lawmakers at a state budget hearing on local government funding that the type of high-paying jobs the Amazon deal could bring to Queens are the kind the city needs to expand its technology sector. Amazon has said it would bring at least 25,000 and as many as 40,000 jobs to the Long Island City neighborhood over 10 to 15 years. 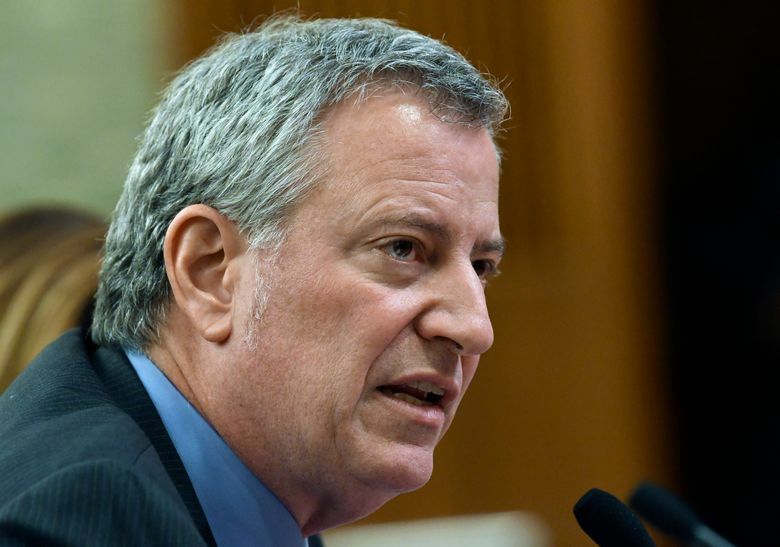 “We never had a single plan, a single agreement that brought us that many jobs,” de Blasio said during his 2½ hours of testimony. The mayor and Democratic Gov. Andrew Cuomo last year brokered the deal with Amazon, offering some $2.8 billion in city and state tax incentives and subsidies. 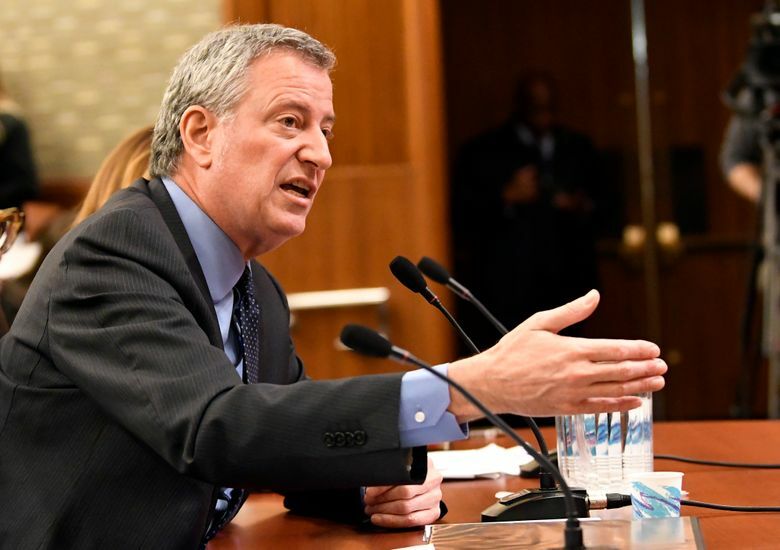 De Blasio told lawmakers that the city expects its income tax revenues to drop $1 billion this year due to several factors, including December’s stock market volatility. Last week, Cuomo said overall state revenues are down more than $2 million for many of the same reasons. But the Amazon deal is facing staunch opposition from some fellow Democrats in the New York City Council and the state Senate, who say too much was given away to one of the world’s richest companies. Sen. Michael Gianaris, the No. 2 lawmaker in the Democrat-controlled Senate, is one of the leading opponents of the Amazon deal. Gianaris, whose Queens district includes Long Island City, has said the city and state incentives could have been spent on local programs such as public transit and housing. His opposition and that of others, including New York City Council Speaker Corey Johnson, has Amazon executives rethinking the New York location, according to a report last Friday by the Washington Post, which cited two unnamed people familiar with the company’s thinking. Speaking on public radio Monday, Gianaris said concerns that Amazon might abandon the deal haven’t prompted him to reconsider his opposition. Cuomo on Friday accused the state Senate of “governmental malpractice” and siding with those who are “pandering to the local politics.” His comments came after Gianaris was nominated for a state board that might have sway over the Amazon project’s subsidies. Cuomo has the final say over board appointments but hasn’t said whether he’ll approve or reject Gianaris’ nomination. 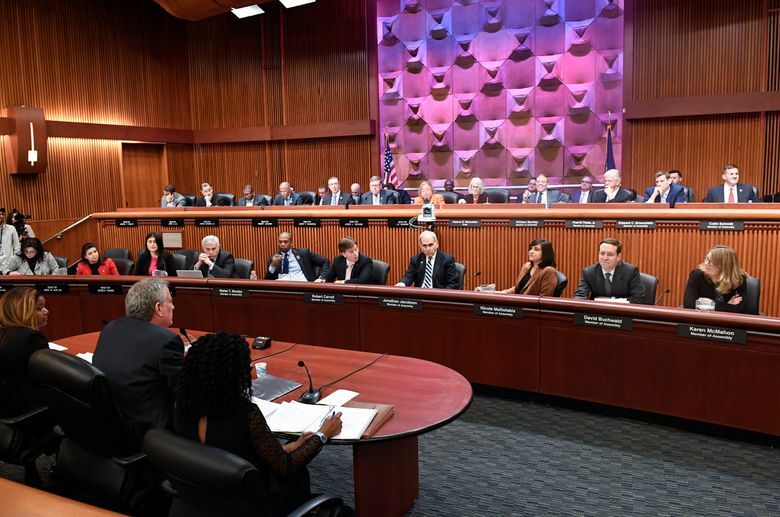 The Amazon debate has caused a rift among some Albany Democrats, with Senate Majority Leader Andrew Stewart Cousins, of Yonkers, accusing the governor of trying to divide the party after the Democrat-controlled Legislature passed a series of progressive measures over the past month. Cuomo again defended the Amazon deal during a news conference in the state Capitol on Monday, saying the project will bring good jobs in a promising sector of the economy — as well as billions of dollars in new tax revenue. He said any project of its size would generate local opposition. “It’s the nature of the beast,” he said.